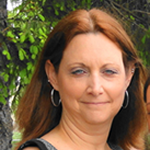 Melissa V. Sirola is a registered nurse with over 20 years of experience in the healthcare field. Melissa has worked as a staff nurse, a nurse administrator, and an educator, teaching nursing leadership at several local universities. Melissa is currently pursuing a Doctor of Nursing Practice in Leadership and Health Care Innovations at the University of Missouri Sinclair School of Nursing. For her internship with the Children’s Mental Health Network, Melissa is researching the effects of Mindfulness on behavioral and mental health issues with children in rural primary school settings. Melissa is excited for the opportunity to work with the Children’s Mental Health Network to research, explore, and report on innovative Mindfulness programs that exist in various parts of the country and around the world.